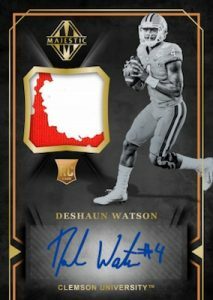 Some of the Top Picks from the 2018 NFL Draft will be opening these boxes LIVE for You!!! 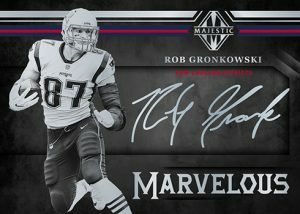 – Majestic Football returns in 2018 with a two pack box that will feature 4 autographs, 2 memorabilia cards, 1 parallel, and 1 base. 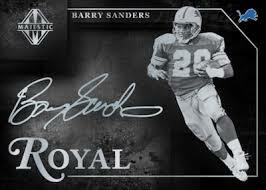 – Stunning on-card autographs feature the best current and retired stars the NFL has to offer, in the new Royal Signatures, Magnificent Signatures, Marvelous Signatures and Imposing Signatures, all #’d/99 or less! 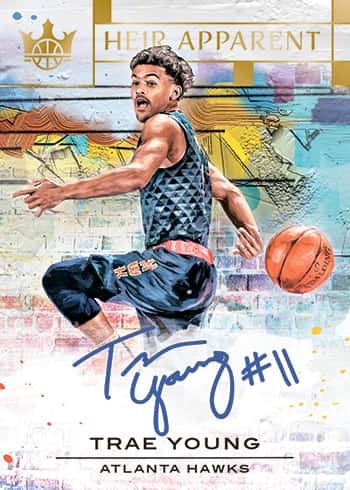 – Majestic Football will feature the first autographed memorabilia cards of the 2018 NFL Rookie Class! 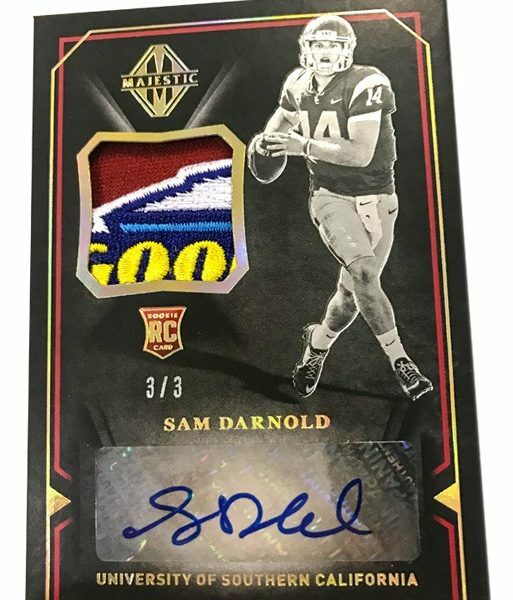 Look for one per box, on average! 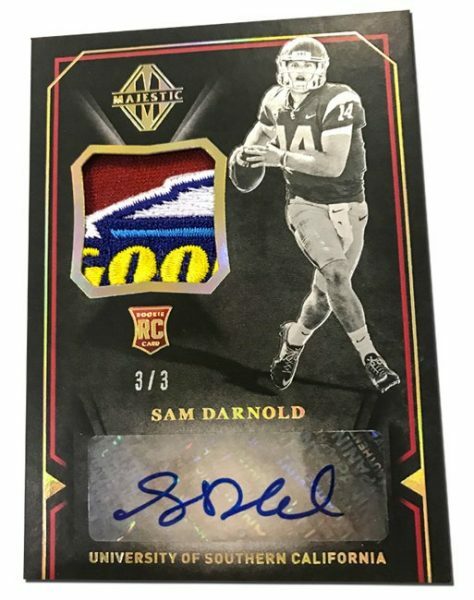 – Look for jersey cards of the top stars in the NFL with the following memorabilia inserts: Astonishing Arms, Regal Runners, Wondrous Wideouts, Distinguished Defenders, Unsung Warriors Materials, Show Stoppers Materials, Majestic Materials, Icons Materials and Exalted Materials.